There are amazing things that go on in this church. These last few months are a good example. First, we held a Walk for Water campaign. Our Men in Mission group stepped up to the plate and offered to match up to a thousand dollars in donations. Our goal was to raise $500 – we raised over $ 2,700 to help in those places in the world where there is no clean water. Then, we began another year with our vibrant, fun Sunday school, thanks to the dedication of a few, fine Sunday school teachers that stepped up to the plate. We had an adult enrichment offering, and though the numbers were low, the spirit was there with us, and we gathered on Sunday nights together for discussion and prayer. In October, we dedicated our quilts and Lutheran World Relief projects and Haiti dresses, and once again, they were sent throughout the world. Then, we just finished our series of Wednesday nights during Advent, with our suppers and vibrant, meaningful worship together. I feel that being a part of this church is a terrific adventure and there’s usually some excitement around here. This is a place where people get re-energized in faith and eager to serve the Lord. It feels around this congregation, like Jesus’ words about new wine being poured into new wineskins. Jesus always used images and stories based on everyday life that everyone could relate to. In our reading from Mark, Jesus talks about wine and wineskins. Of course in Jesus time, wine would have been a staple. It would have been the primary drink of choice at just about every meal – not water, not milk, but wine. Water was not often safe to drink, and there was no refrigeration for things like milk, so wine, or fermented grape juice, would been safer to drink, and easier to preserve. Wine also had tremendous religious significance especially at the Jewish Passover. So wine was a part of everyday life and religious life during Bible times. Wine at that time would have been carried in wineskins not in glass bottles. And everyone would have known that old wineskins tended to be dryer and more brittle than new wineskins. 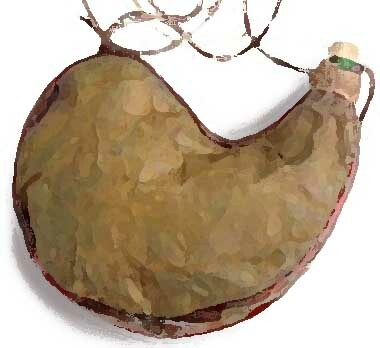 New wineskins were more flexible and had way more elasticity than old ones – they could change shape, grow and expand. Old wine was done fermenting and would not be producing any gases to expand the container in which it was stored. So putting it in old wineskins was not a problem. On the other hand new wine was still fermenting a little and would produce some gases that would need some room for expanding. Old wineskins would split under the pressure but new wineskins were flexible enough to expand as the new wine continued to mature. All of this background is good to know for today’s sermon, but we want to get to an important question. What does all this talk about wine and wineskins have to do with us? Here’s one thing these words of Jesus mean to me. I believe this imagery of wine and wineskins is about being open to what God is doing today, in our lives and in our church. Our Christian faith is not a dead, static religion of 2,000 years ago. Our Christian faith is very much alive today. It is dynamic, expanding, and developing all the time. Jesus is still working in the lives of his disciples today, right now, right here at St. John. Jesus’ new wine is forever expanding and growing and always has newness to it. Jesus once reminded old Nicodemus that God’s Spirit blows where it wills and we know not from where it comes or where it is going. Jesus is saying that God’s Spirit blows into our lives in new and different ways. This Bible story is an invitation to be open minded to what God is doing in the here and now. I like the saying, “A mind is like a parachute, it only functions when it’s open. And then, there’s also another meaning to these words of Jesus today. It’s easy enough to identify ourselves with the new wine and the new wineskins. It is much harder, though, to identify with the ones Jesus plainly criticizes—in this case, the Pharisees. But if we are really honest with ourselves, I think we can admit that there are times when we act like the Pharisees….Times when we cling to more to the comfort and convenience of our traditions rather than following the cross of Christ and his ways of self-sacrifice, love, and compassion for others; Times when we worry too much about outward appearances and too little about what is inside the heart; times when we are more concerned about drawing attention to our own needs rather than meeting the needs of others. Jesus calls us to see our Christian faith as a movement of love and compassion toward our neighbor in need. The new wine is the living love of our Lord Jesus taking up residence in our hearts and minds and actions, and we are the new wineskins, open to how Jesus was us to grow and expand his ministry and mission in our lives and in this church. And that brings us to the second question: How can we fully experience this new wine, this love of Christ Jesus, in our lives? Allow me to answer that question in two-parts. Here’s the first part: we are to embrace the love of Jesus. We do not expect God to love us, but he does, and we see it most fully revealed in the cross of Jesus – we are forgiven, accepted, included, loved, and made heirs of eternal life. Embracing that love of Jesus means we come to understand how radically different this love is. Jesus’ love reaches out to all regardless of their ability to deserve it. Jesus’ love is redemptive. He is the Divine Physician comes to heal. He comes to heal us from all that would turn us away from God. Jesus’ love is renewing. Through baptism, through the bread and wine of communion, Jesus takes up residence in us, and begins to transform us from the inside – out. The love of Jesus is a new thing. That’s why Jesus called his message and his ministry the new wine, and he calls us to embrace it, to embrace his love. And that takes us to the second part of experiencing this new wine, this love of Jesus, in our lives: We are to embody his love. We are the new wineskins! Having received the merciful, forgiving, redeeming love of Jesus, we are now the containers for that new wine so that he can pour it for others. Without containers to embody this love, Jesus has no way to give it to others. Paul wrote to the people of the Corinthians church that they were letters of Christ. That is, the Holy Spirit had placed the love of Jesus within them and now they were to let this love be seen and given to others. When we gather around this table and receive the bread and wine, Jesus pours himself into our lives and makes us new. Jesus invites you to come to his table and to receive the gift of forgiveness and new life, to embrace his love for you. And then, Jesus sends us out from this table to embody his love in our words and actions, and to give it to others. And so I invite you to come to the table this morning, to be the new wineskin into which Jesus desires to pour his new wine. And then go, and pour out his love to the world.